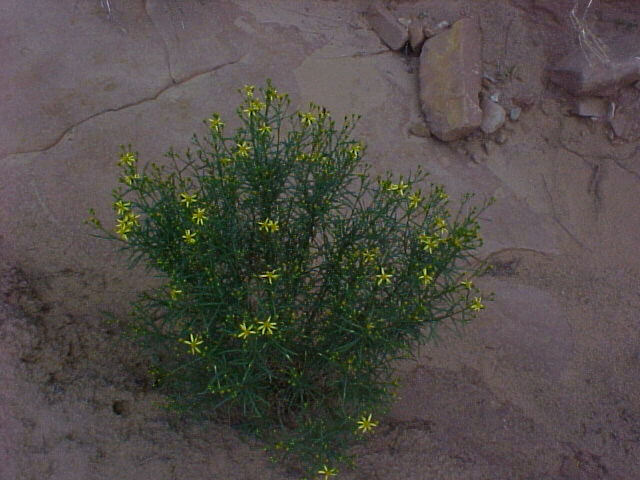 Yellow blooming groundcover. Tough plant. Poisonous to livestock. Dried stems used for primitive brooms. Was medicinally used as a treatment for snakebites.